I find that an hour a day reading a book is time well spent, not only to recharge my batteries but also to energize and invigorate me. The wisdom of 5, 10 or 20 years of work condensed into a book is simply brilliant leverage if you’re looking for a crash course or to become the best at something. 1. You have a finite amount of time to read. Yes, it’s sad to say but you’re dying (great news!). This means that you have a finite amount of books you can read before you die. Giving me 58 solid years of learning. Holy crap, is that all! So now I feel that I ought to be very discerning about what I read, because I’ve only got so many great books I can read. 2. How do you know what to read? Now that I (and you) know that you only have a finite amount of books we can read (did you work out your figure) it makes sesne to ONLY read great books that are going to give you the best of what we want. Written by ghostwriters (you would be amazed how many people get their books written) who do not distil the creative wisdom of their clients but instead infuse the book with their own ideas. Clearly you want to read the best of the best! So, I research a ton of books before I order them. I cross check the book with the author to ensure they have attained the results I want for my own life. I check the reviews to see if they’re fake or not, LOTS of fake reviews on amazon. Then finally I make a list of books that meet all my criteria and order them in bulk from Amazon to save shipping charges. Wanna see the list of books I’ve just ordered? each one has met my criteria and I’m sure will be a welcome addition to your library too. Here they are in no particular order, 10 books for entrepreneurs. 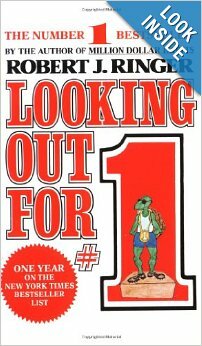 I loved Roberts other book winning through intimidation and this was recommended to me by a very good friend. After researching it I can’t wait to read it. Or just click on the image and you’ll get taken there. It’s unlikely that you’ve heard of Carl Fisher. He was a brilliant entrepreneur that will be an inspiring read for you. In fact once I discovered Carl I also ordered the other book below to ensure I could learn as much as possible about him. 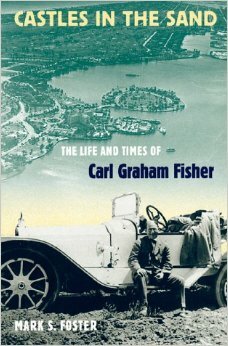 Here’s the other book I’ve found all about Carl Fisher. He created the famed Indianapolis Motor Speedway and its annual 500-mile race, and he was the motivating and organizing force behind the Lincoln Highway, the nation’s first transcontinental road. 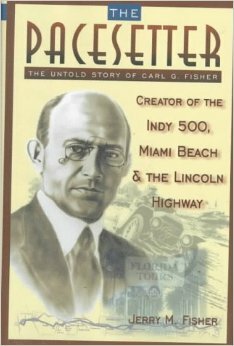 Fisher seems best known as the primary developer of Miami Beach, then little more than a tropical swamp. He similarly began to develop Montauk, Long Island, before going bankrupt during the Great Depression. Ron Conway is Ashton Kutchenors mentor. Ashton has been investing in tech companies now for 5 years and has done very very well as a result of that. All his advice has come from Ron, that is surely cause to read this book! 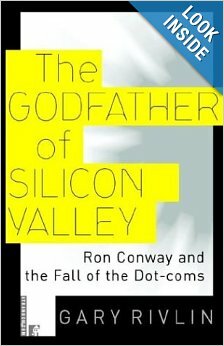 This book details the rise of Ron through the dot com mania, and resulting popping f the bubble. Entrepreneurs like to think that we’re the creators of our our destiny. The truth, of course, is that luck plays a massive role in our success, or lack of it. A chance meeting set Bill Gates on his path to wealth. A flat tyre gave Warren Buffett the funds he needed to start his first fund. 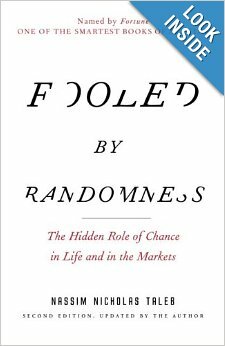 This book exposes the role that randomness (luck) plays in things. A must read for any aspiring entrepreneur. Do you like to cut loose and let your hair down every now and again? and the best music to cut loose to is brasilian! This CD absolutely kicks a$$!! To say the least, this woman has incredible energy and know how to intelligently mix samba and axe with some jazz, synth. music and rock without compromising her roots. You will love samba if you listen to “Electrica”. 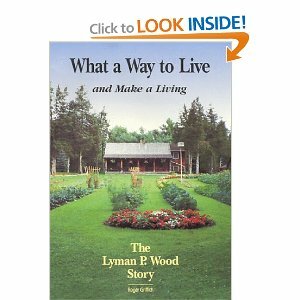 I’ll bet you’ve never heard of Lyman, I hadn’t. He’s a mail order pioneer. Quite different from the often boring textbook approach so common with marketing books. This semi-autobiography reads like a novel, but teaches direct response advertising through example and life experiences. Just starting out, in his second project, he acquired over 450,000 customers! (and those are repeat customers at that). He knew what he was doing. Plenty of wise advice in there. You can learn from his mistakes and successes. I assume you’ve read tested advertising methods? it’s a direct response bible. 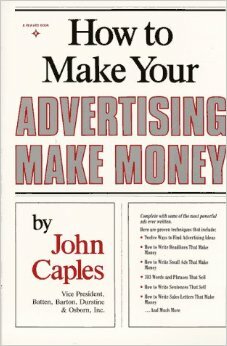 This is Johns 2nd book and is in many ways very similar to his first. Most of the examples will be kinda old BUT don’t let that put you off. The stuff that makes people buy from you has not changed one jot. You may have spotted something in my list of books, many of them are biographies. I love to read about other entrepreneurs. When I’m feeling less than enthusiastic or feeling crap after something not working I pick up a book and find inspiration in the trials and tribulations of other entrepreneurs. 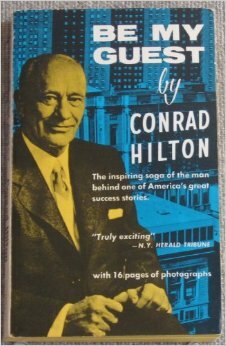 It is a rags to riches story about Conrad Hilton, the guy who started Hilton hotels as we know it. 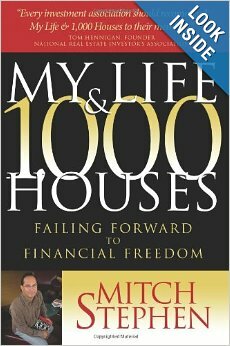 Primarily a book about a real estate entrepreneur this book still has many many lessons for business entrepreneurs. Again this book is an autobiography. This book was a recommendation from an angel investor friend of mine. He said it inspired it him to start on his entrepreneurial journey and ultimately to sell his company for squillions and start angel investing. I’m also 42 and an avid reader so your calculation has me somewhat spun out! I get my highs browsing bookshop shelves for insightful reads, but yes I have been known to bulk buy personal and professional development books from Amazon (so much cheaper in UK pounds). 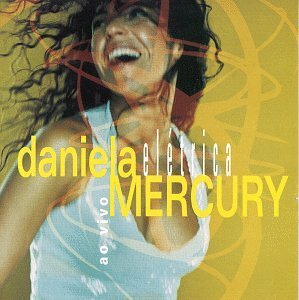 Thanks for your recommendations – including the Daniela Mercury CD (my old art teacher used to play her while we painted). I’ve read a few on your list and will check out the others. Happy new year to you and happy reading!